I've had MS and MS-related trigeminal neuralgia now for more than 20 years, and it's been almost 14 years since my original R&R MS was updated to secondary-progressive. And over the course of the last three years or so, I have started to experience what we in the support group world refer to as "disease hoarding" or "diagnosis collecting." What is diagnosis collecting? 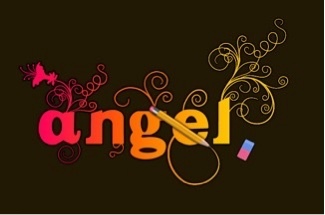 It refers to a trend that happens in many if not most people with chronic and progressive illnesses. As the OG/DX* disease progresses and inflicts a greater and greater amount of damage to your battle-weary body, you end up gathering more and varied health issues. The number of things you list under "diagnoses" on medical forms starts to grow; you know you're truly collecting when you run out of room and have to finish the list on the back of the page! As the disease progresses, the MonSter invites more and more unwanted guests to couch-surf in the home that is your body: Monster Babies eager to join together to do battle with you. 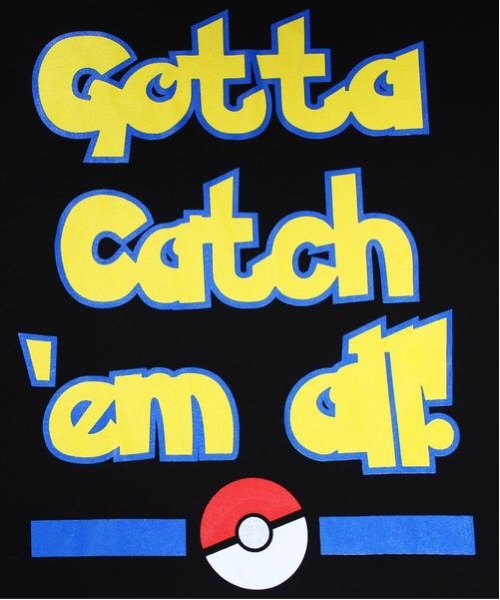 Sort of a "Gotta Catch 'Em All" situation, only with more medications and less Pikachu. 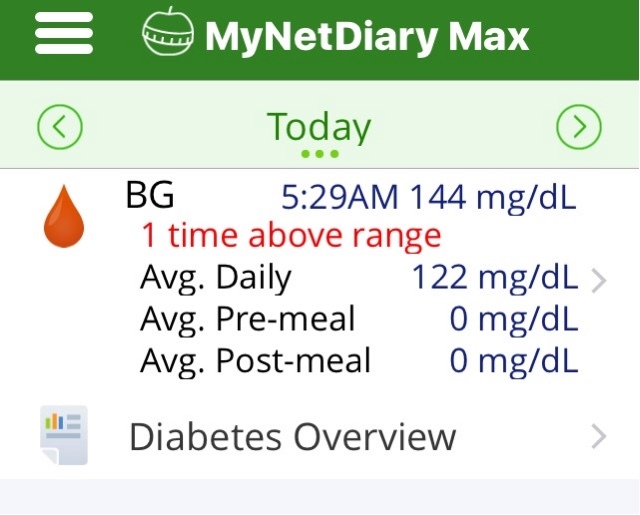 I recently submitted a review for an app I absolutely could not have coped as well without: the MyNetDiary Pro. 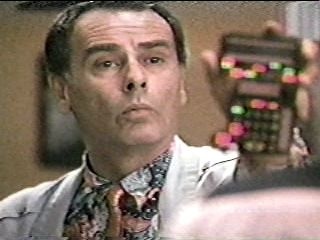 I call it "Ziggy," in reference to the device used on the 80's tv show "Quantum Leap." 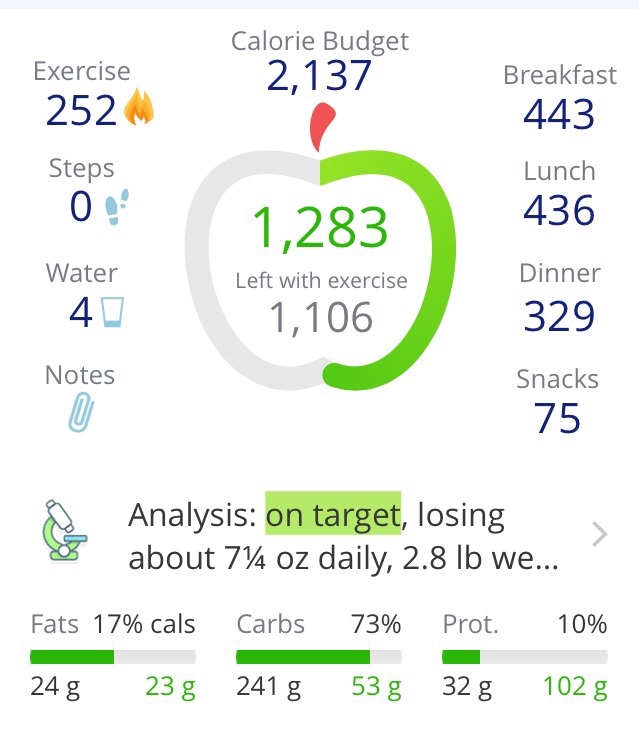 First, a brief descripton of Ziggy: it is a very easy way to track your blood sugar, diet, nutrtional needs, exercise, and weight, while also providing encouragement and community support. First: the blood sugar recorder. It will indicate if your sugar is too high by highlighting the number in yellow, and in pink for too low. It will also tell you what time you tested, and what your daily averages are. 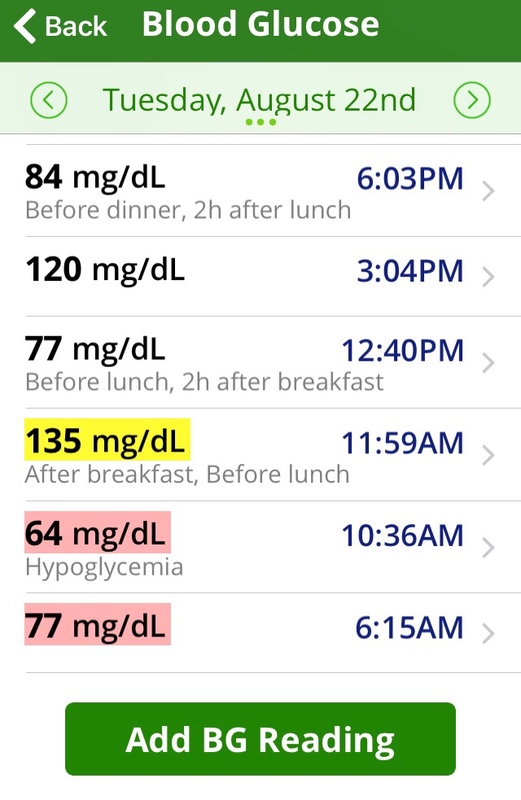 "A MUST-HAVE FOR THE NEWLY DIAGNOSED"
I was diagnosed 18 months ago during a hospital stay for an unrelated illness, and the hospital sent a diabetic info nurse to educate me on my new-found disease. As I waited for "Nurse Jenny" to arrive, I felt confident that I already knew most if not all of the information she was going to share with me, as I have/had several relatives with diabetes, including my father. Wow, was I wrong! A lot of what I thought were the facts about diabetes were either outdated or just plain incorrect. The things I assumed were necessary and the things I assumed were off-limits were off by a country mile. I didn't know how I was going to remember all of that information, particularly because I have MS and thus my memory isn't always picture-perfect. As a result, after only a few minutes of Nurse Jenny's presentation I felt quite overwhelmed with it all. After sharing these feelings with the nurse, she recommended this app as a "must-have for the newly diagnosed" and "worth every penny." And she was absolutely right. I don't know how I would have gotten through the last 18 months without it! 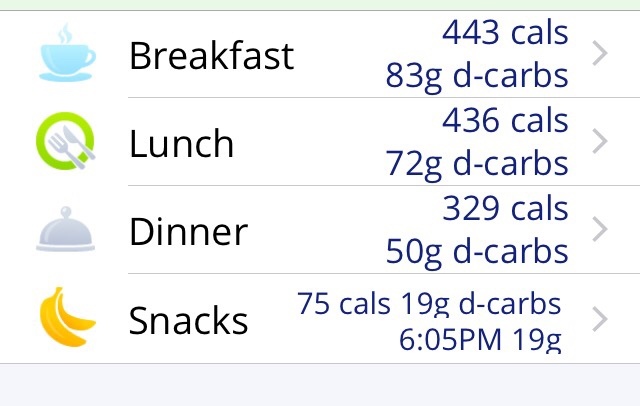 This app helps me to keep abreast of what I have eaten, what my blood sugar is, how many calories I have burned every day, even how much water I have drank. 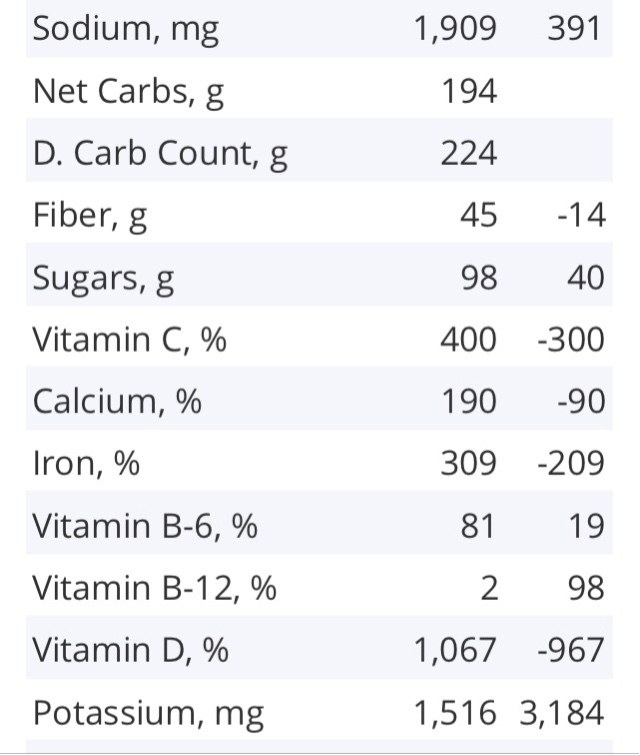 The breakdown of daily vitamin/mineral/carb counts are extremely helpful, as are the helpful summaries letting you know how well you did that day. 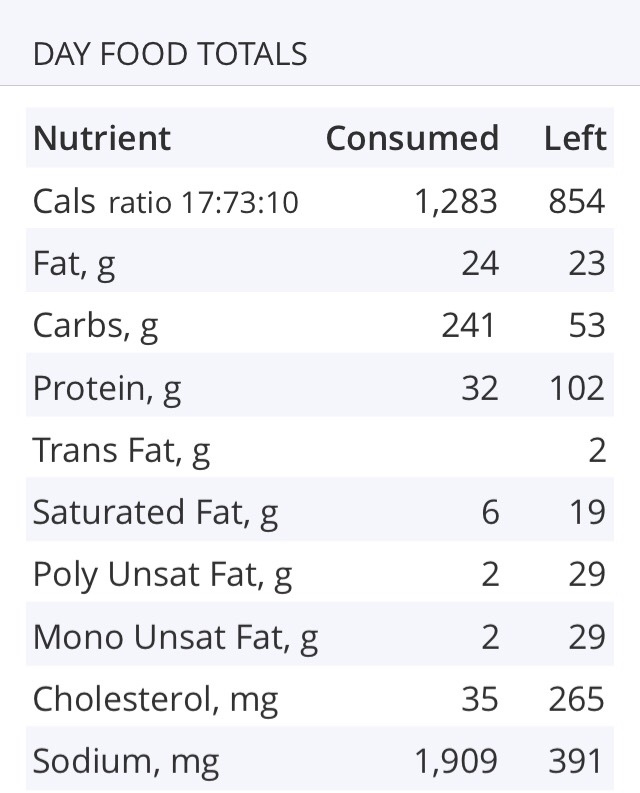 I can even use it to check if a food is ok for me to eat or not, which is especially helpful when dealing with foods that don't come with nutritional values. The only thing I would like to see changed are the Charts. 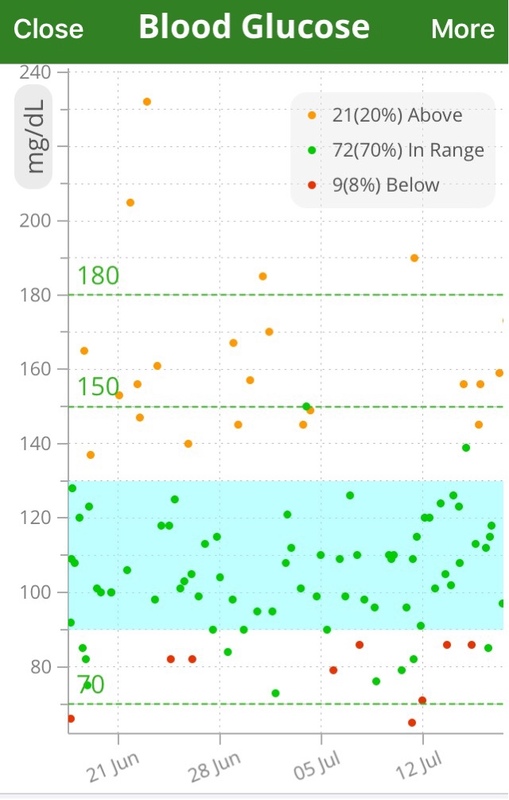 As it stands now, it consists of a very basic graph with dots representing the individual blood sugar levels results, plus an info key representing the percentage of results that were too high, too low, and in the normal range. These dots are not connected with lines, and I really wish they were, thus making a true line graph. Because the dots are often very close together, it's hard to see the ebb and flow of the testing results data. Being able to better visualize the pattern would be tremendously useful in adjusting diet/exercise/medications. In lieu of that, a pie chart would be an acceptable alternative. Both would be great, especially given that the page is titled "Charts" whilst having only a singular option, and not the plural. Other than an upgrade on the Charts section, I cannot think of a flaw or significant drawback to this app. I have recommended it both in person and online many times. It is amazingly helpful, especially when first learning just how this diabetes stuff actually works. 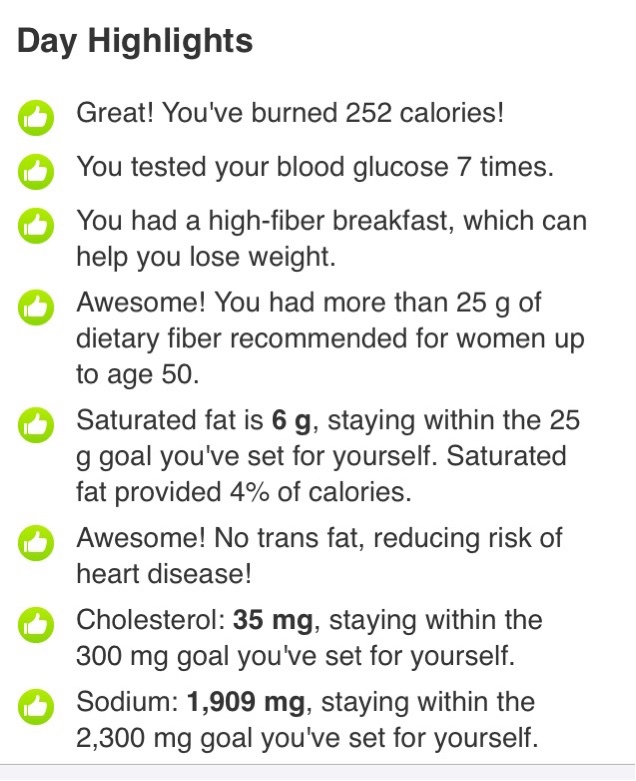 It helped me not only learn how to navigate this disease, but also gave me the confidence that I could treat and control the disease; 18 months later, and still not insulin-dependent! Thank you so much to the creators of this app; I sincerely don't know how I would cope without it. *OG/DX sounds like the name of a rockin' all-wheelchair AC/DC cover band! 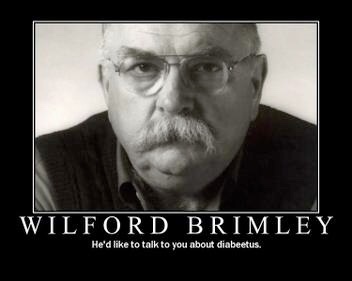 **Don't even try to pretend you didn't read that in Wilford Brimley's voice. I'm on to you. Diabeetess! ***These are samples I created specifically for this blog post, for educational use only. They are not necessarily representative of my actual personal data. 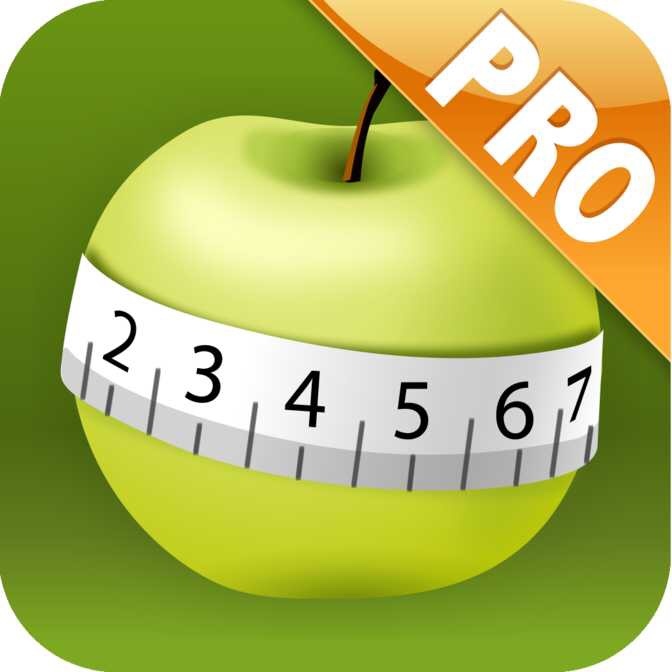 ****This is one of those apps that is absolutely worth buying the "Pro" version. --Disclaimer: I was not paid nor solicitated to write this review by any person, business, etc.